EIGHT. OUR NEW FAVOURITE NUMBER. 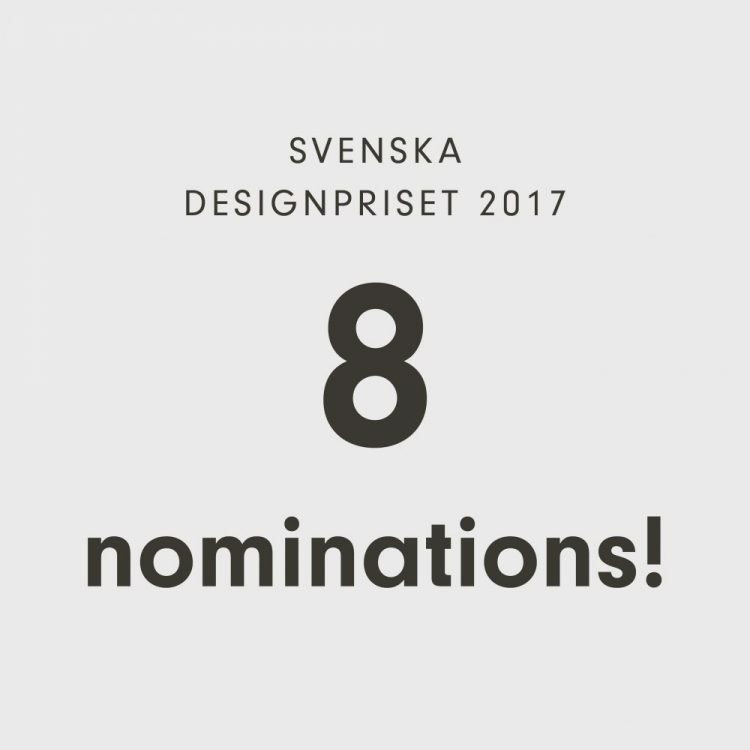 If we were pretty impressed with ourselves for receiving 5 designpriset nominations last year, imagine our amazement at being nominated 8 times this year! Let’s just say we’re happy. In fact the only thing that could possibly make us even happier would be to win all EIGHT.